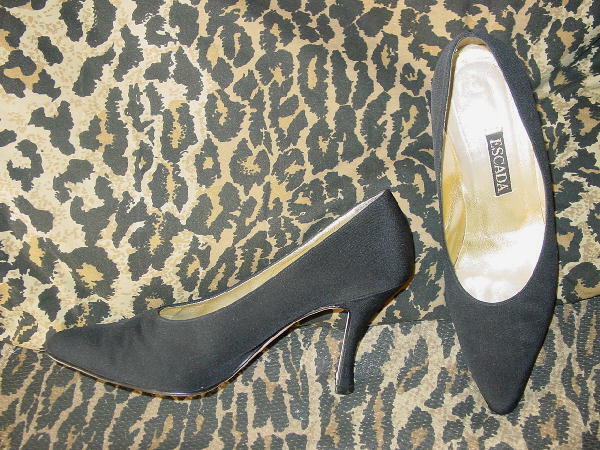 These classic black peau de soie pumps have gold lame leather linings and insoles. 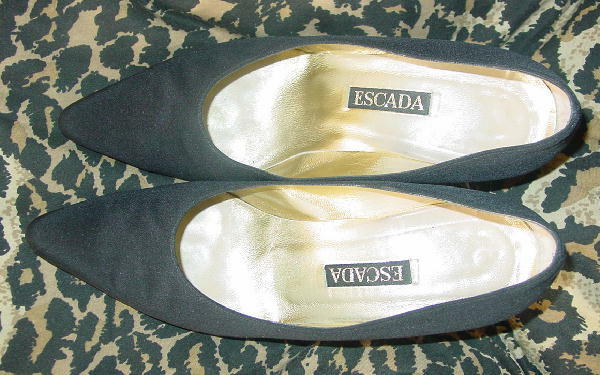 They are by Escada and they have pointed toes. 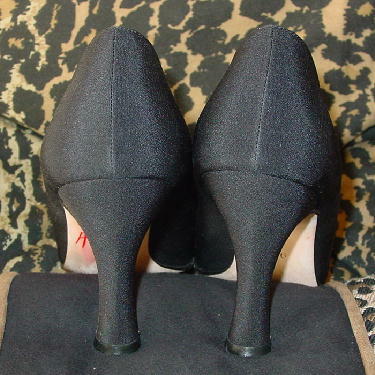 They're from a stylist's inventory, and were worn in a runway show.